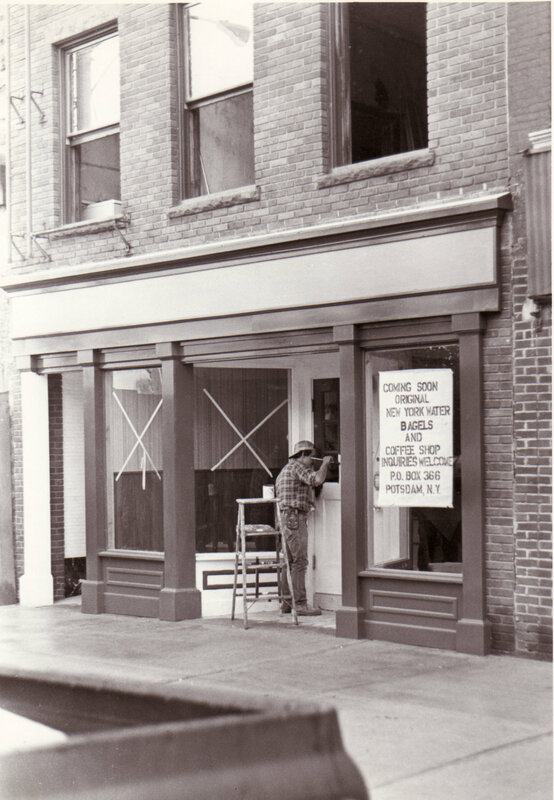 Back in 1982, when Eye of the Tiger was on top of the music charts, and when E.T., Rocky III, and On Golden Pond were lighting up the theaters, Elliot and Judith Rich were pioneering and busily fixing a dilapidated downtown building, readying upstate New York to experience water bagels and fresh coffee. The product they handcrafted stood the test of time. And now, some thirty years later, through recessions, market crashes, and five presidents, the Bagelry is legendary and still authentic New York. "Coming Soon Original New York Water Bagels and Coffee Shop"